‘This way please!’ the waitress in the beautiful red dress said to me as I nervously stepped on to the escalator that would take me to my table. 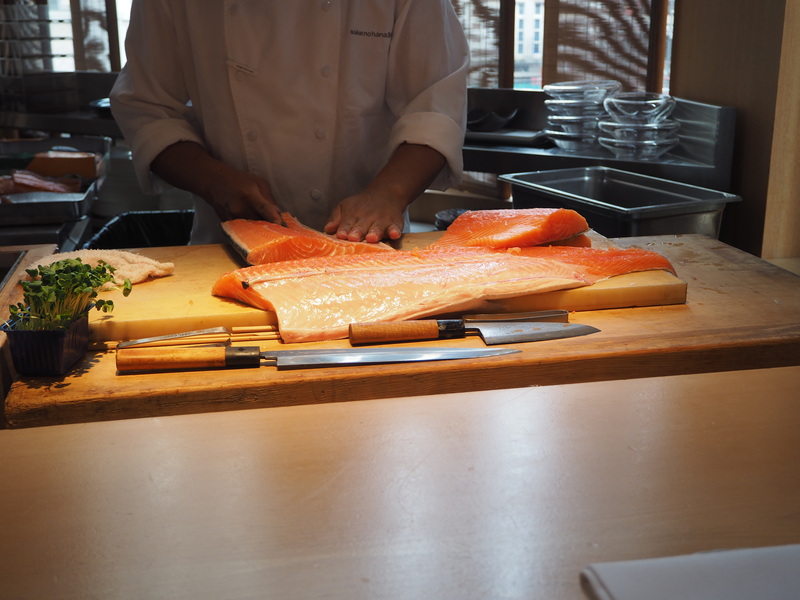 I stared wide-eyed at the gigantic fish that was being sliced up by a very competent chef, and gaped at the bamboo-covered ceiling. 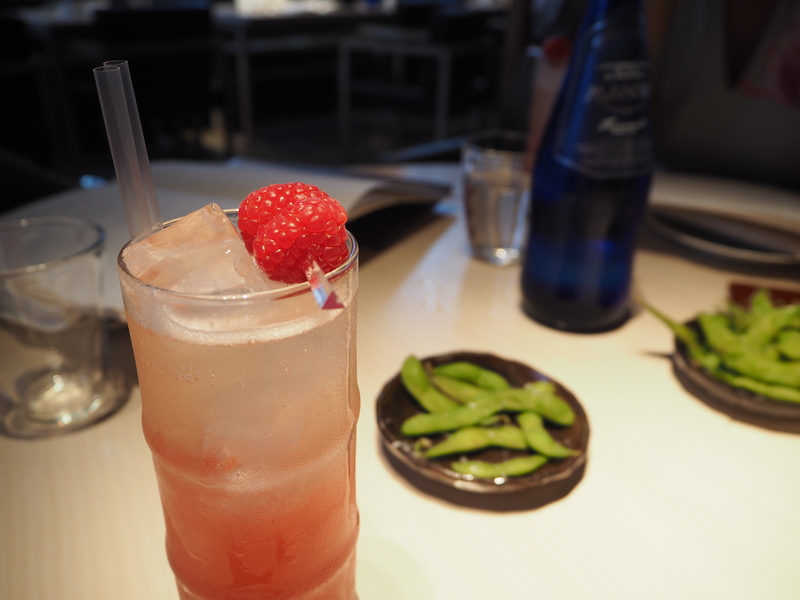 It’s safe to say that my first impression of Sake No Hana was, for lack of a better word, impressive. 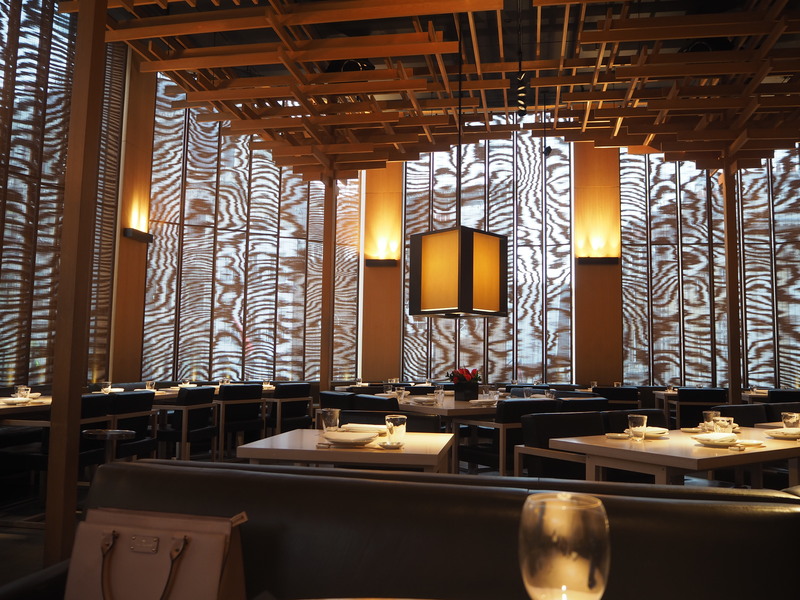 As I slid into the round booth, I eyed up the menu with glee, as it was one of those where I wanted to eat everything. Luckily, it wasn’t quite as overwhelming as Sticks’n’Sushi, and my no-meat policy for September also ruled out some of the charcoal grills. Having three people to share with was definitely an advantage, and so we got to ordering with relative ease. The cocktail list was extensive and innovative, and I started off with the Ni Ju San, a vodka-based drink that struck a perfect balance between subtle and flavourful, and was served in a bamboo-esque glass befitting of the decor. 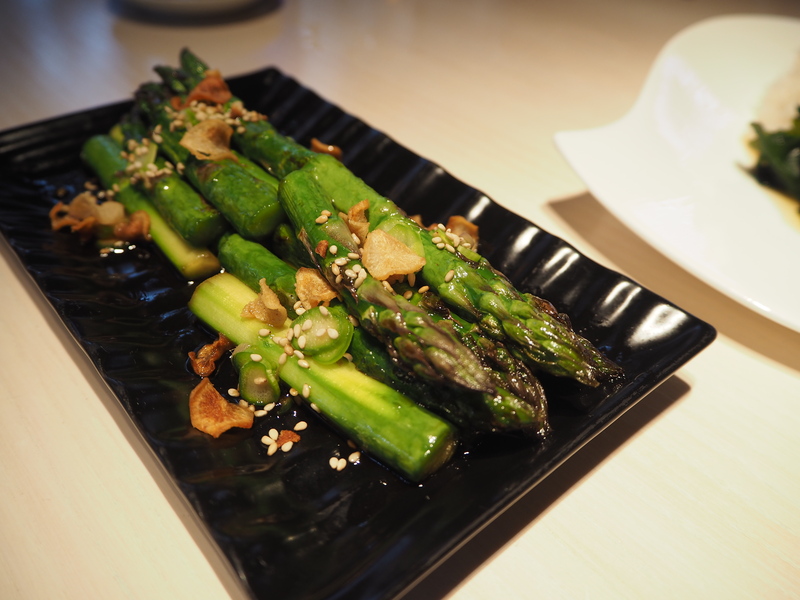 I normally shy away from asparagus, but the soy stir fried green asparagus was one of the best vegetable side dishes I’ve ever tasted. Drizzled with soy and sesame and topped with crispy shallots, it was still crunchy, bright green, and supremely flavoursome. Why do people insist on boiling this vegetable to death? I couldn’t stop eating it and will definitely try and make a version of it at home! The biggest surprise of the meal was the sesame fried aubergine and fig. Drenched in sesame, the eggplant was bursting with flavour and like nothing I had ever tasted before. I want this recipe! It wasn’t particularly photogenic, and disappeared within 30 seconds, so you’ll have to let your imagination serve you on this one. 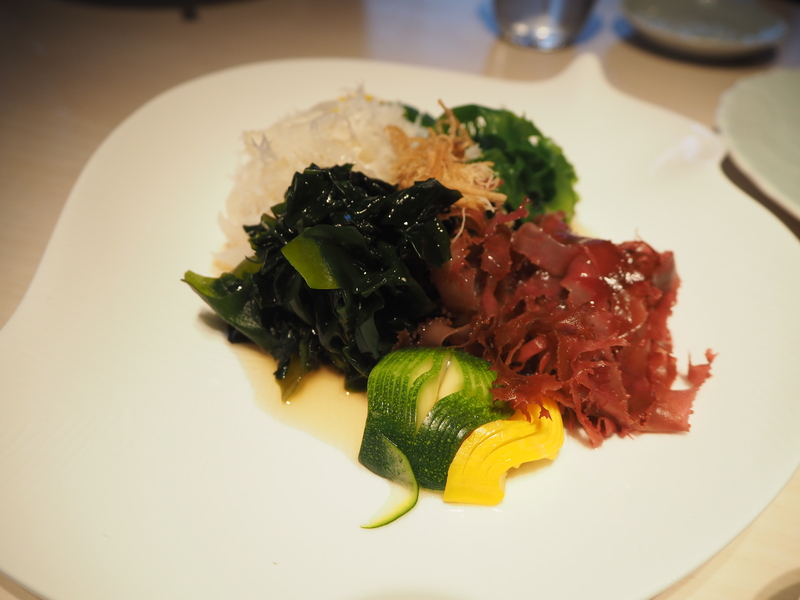 Four kinds of seaweed salad was beautifully presented, but lacked a bit of flavour in my opinion – the only dish that did. 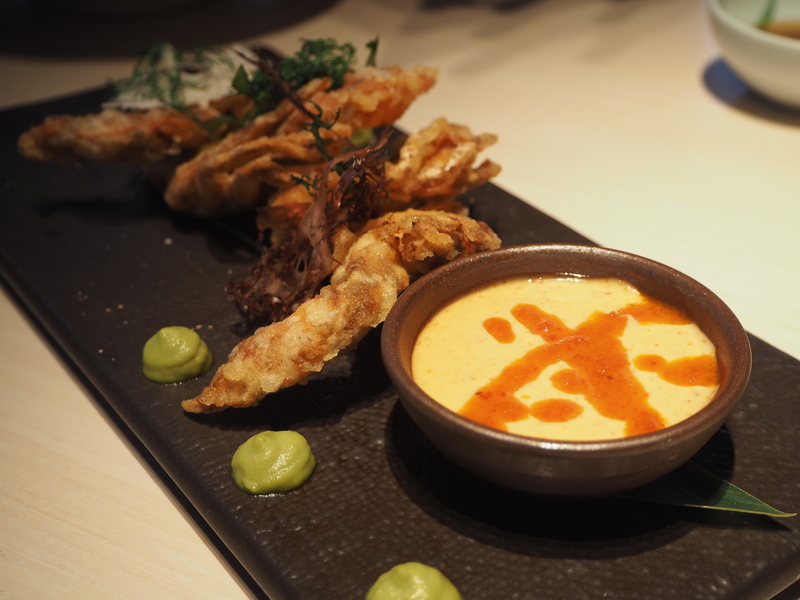 Not so the soft shell crab tempura – it was crunchy and juicy, and went perfectly with the slightly spicy mayo on the side. 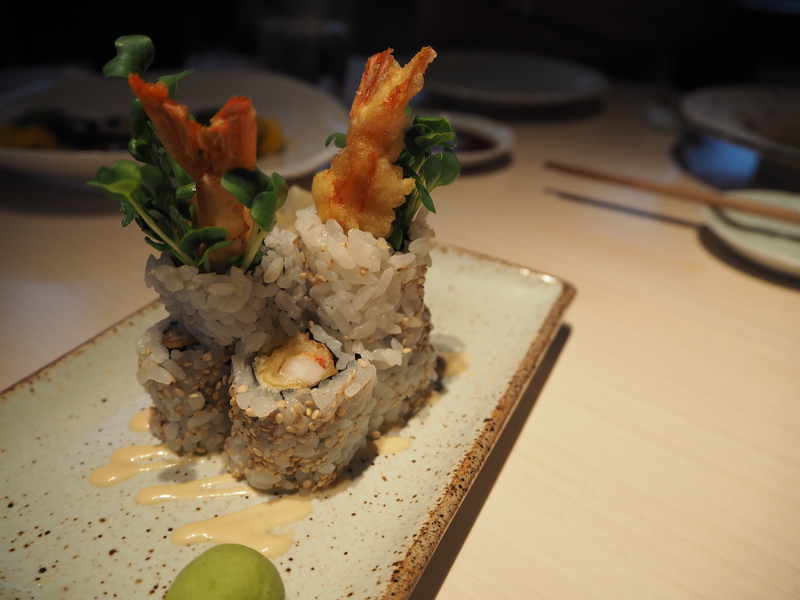 We were tempted by the prawn tempura too, but in the end we came to a compromise and ordered it as a roll… and it was superbly fresh and crispy as the crab before it. 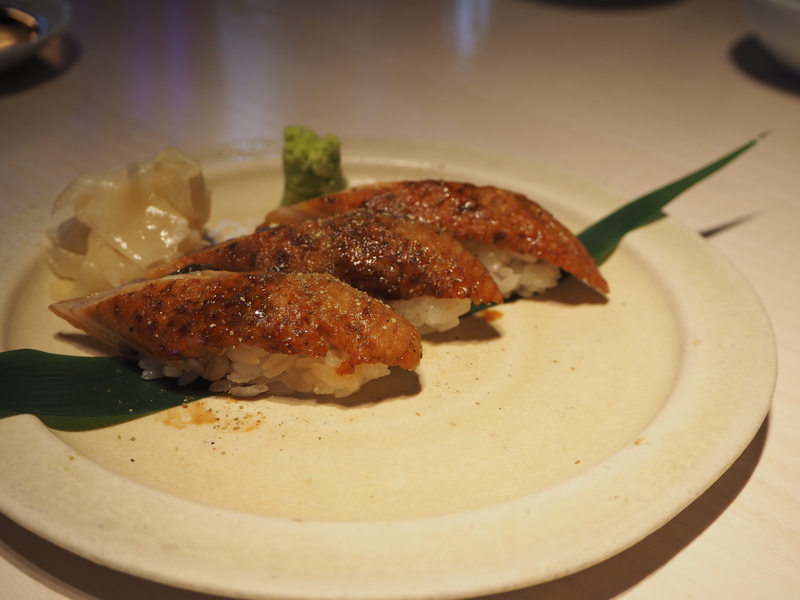 The unagi nigiri was slightly warm and melted on my tongue, and the fatty tuna sashimi did the same. 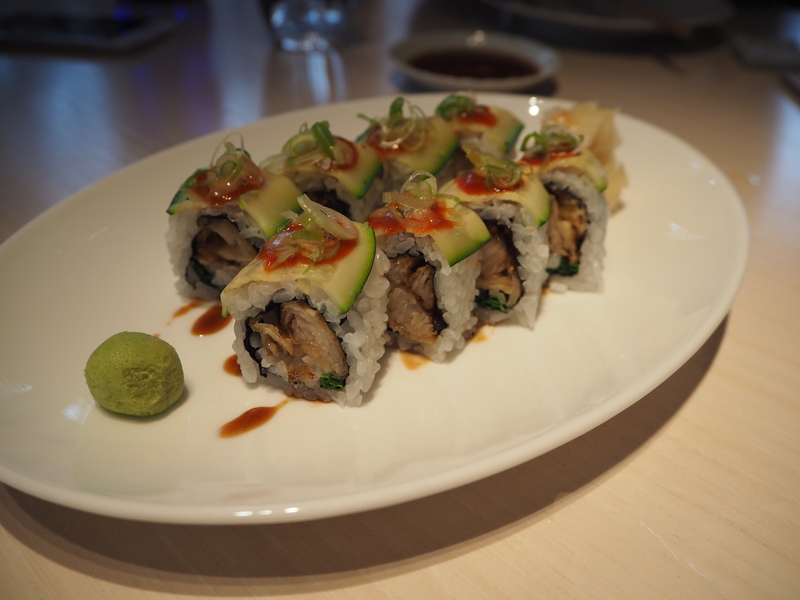 I loved it at Sushisamba, but Sake No Hana did it better. ‘Are we done?’ we asked ourselves. Well… not quite. Our gluttony led us to order the gindara tempura maki (black cod, courgette, chili miso), and it proved yet again that black cod is an underrated sushi filling (the first time I learned this was at Sticks’n’Sushi). It was already shaping up to be a decadent afternoon, but why cut our losses at this stage? I was keen to try another experimental cocktail from the list, and the velvet haiku did not disappoint. 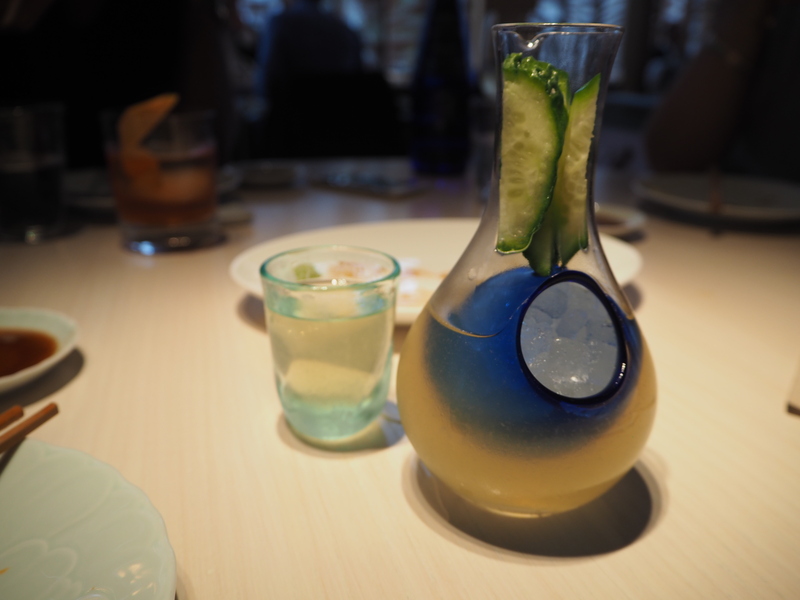 Served in a wee carafe with an ice bowl blown inside it, I sipped from the delicate cup and revelled in the flavours of cucumber, green tea, and … velvet, apparently. 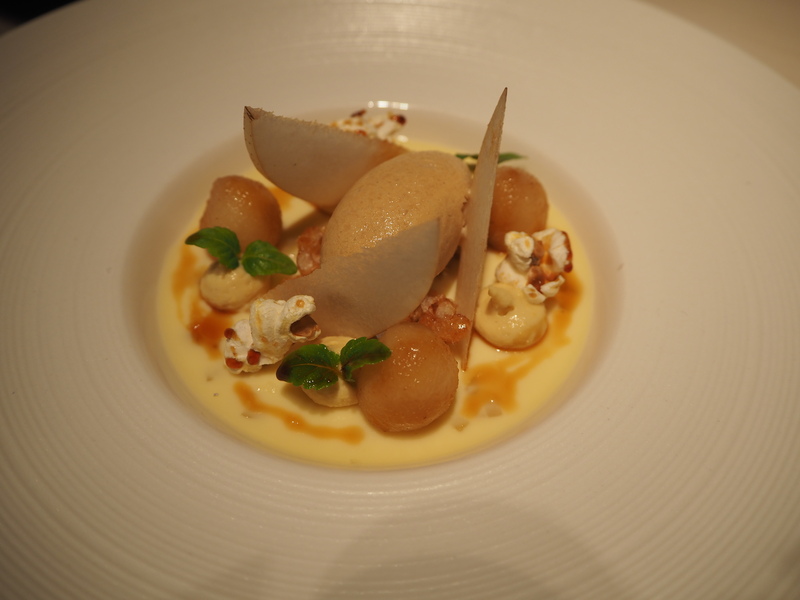 And just to top everything off, we shared the cherry chocolate sake gateau and the pear and popcorn panna cotta. The gateau was definitely the winner for me, with teeny tiny cubes of sake jelly bursting in my mouth! 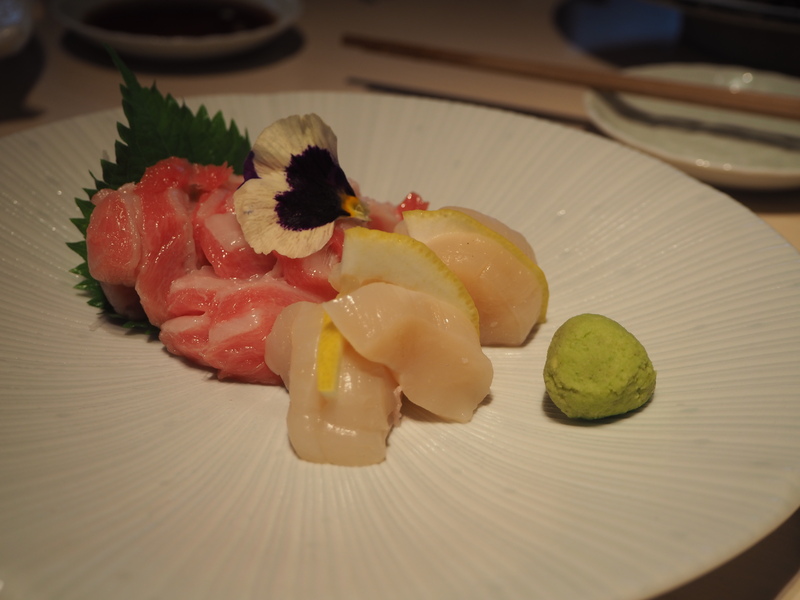 The Hakkasan Group has a whole bunch of restaurants in London, including one of my favourites, Yauatcha, and Sake No Hana has definitely succeeded in offering, in their words, ‘modern authentic Japanese dining in the heart of Mayfair’. 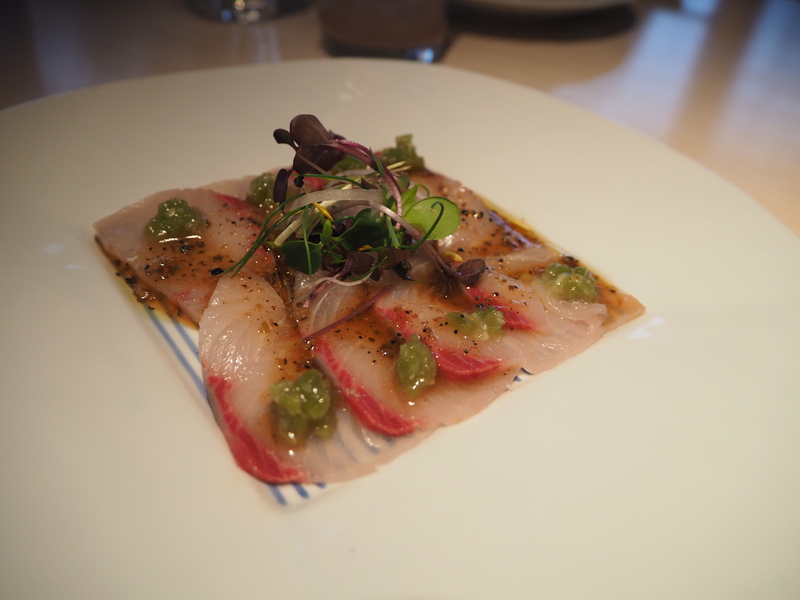 I adored all the food, but if you’re ordering à la carte, the bill can definitely add up (especially with that yellowtail and truffle dish). 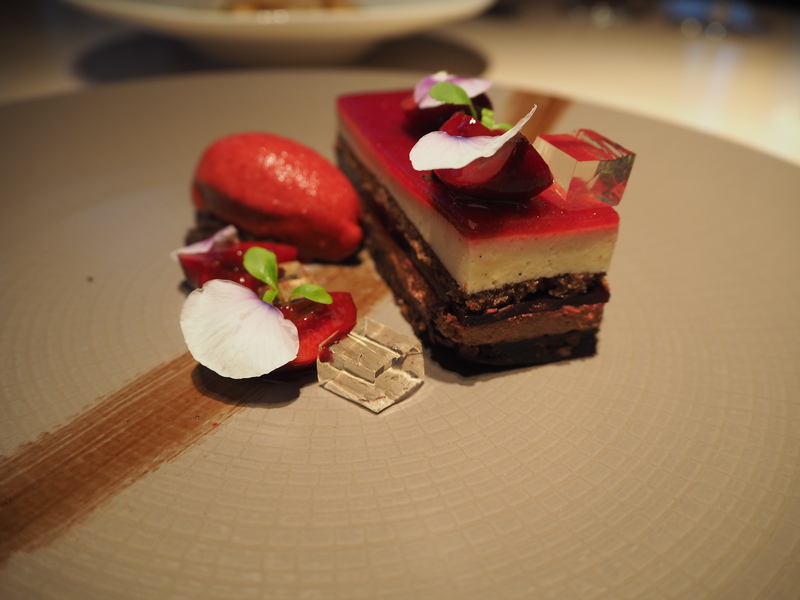 I am sorely tempted to go back and try the aforementioned tasting menu, though! What a feast! That asparagus dish sounds utterly delightful!